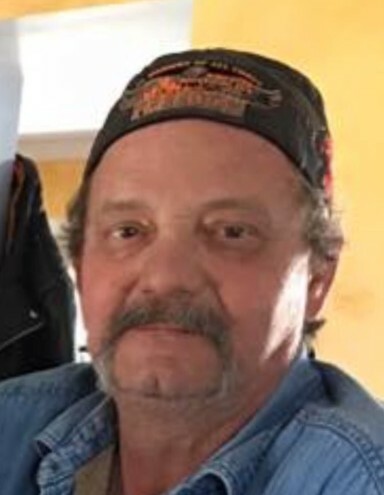 Obituary for Edward Thomas Bergen | Myers Funeral Home, Inc.
Edward Thomas Bergen, 57, of Montgomery City, passed away Tuesday, October 9, 2018 at the home that he shared with his son, daughter-in-law and grandson. Mr. Bergen was born February 11, 1961 in Oakland, California, a son of Edward Samuel and Anna Mae (Erdos) Bergen. Edward was a self-employed truck driver. He had lived at his current address since September 2014. Edward lived in Michigan from 1999-2014 moving there from Fredericktown. Prior to that, he lived in Santa Fe, Texas. He enjoyed riding motorcycles, four wheelers and running remote control trucks. Edward liked building model cars and trucks. He was always working and tinkering on his truck. Edward loved spending time with his family. Trucking and his grandson was his world. Edward is survived by his son and daughter-in-law, Scott Edward and Nancy Bergen, of Montgomery City; daughter, Lisa Marie Bergen, of Lexington, North Carolina; grandson, Hunter Scott Bergen, of Montgomery City; mother, Anna Mae Komon, of Three Rivers, Michigan; brothers, Jimmy Bergen, of Daytona, Florida and Steven Bergen and wife, Essie, of Kalamazoo, Michigan; sister, Donna Bergen, of the state of Texas and sister-in-law, Patty Bergen, of the state of Florida. He was preceded in death by his father, Edward Samuel Bergen. A Celebration of Life will be at 10:00 a.m., Friday, October 12th at 194 Golden Rod Road, Montgomery City, Missouri. Arrangements were under the direction of the Myers Funeral Home in Wellsville. Memorial contributions are suggested to the Bergen Family c/o Myers Funeral Home, 203 East Bates Street, Wellsville, MO 63384.